I miss the old days. Remember doing Saturdays guys? Remember taking listeners phone calls? Remember the guests that you had on in the beginning days? Thatâs why youâre where you are now. Paula White??? Really??? What happened to you guys? Is it worth it. Mark 8:36 For what shall it profit a man, if he shall gain the whole world, and lose his own soul? Is the host drunk or overmedicated? Attempted to listen to episode 1818. I made it ten minutes in, fast forwarded and listened for a few minutes, then fast forwarded and attempted to listen again. It was unlistenable. He slurred his words and muttered. I really wondered if he was drunk, or over medicated on an allergy medicine or something. He spent four minutes arguing with himself if an abortion doctor had testified before one person in congress or another before someone else (and Iâm still not sure who that person was or how they fit into the podcast) jumped in and steered him back on track somewhat. Later he mispronounced words and spent endless time explaining what the real pronunciation was, but that his way was also correct.I then randomly picked a different episode and it wasnât much different. He spent time wandering from subject to subject and circling back and arguing with himself, very similar to the first episode I attempted to listen to. He slurred his words and just seemed âfoggyâ, as if he was drunk or over medicated in this episode as well.If you want a podcast where the host gets to the point, is easily understandable, and enunciates his words, this is not the podcast for you. Iâm a huge fan of Doug and find him to be right on point. His son Joe however leaves much to be desired, and frankly detracts from the quality Doug brings to the program. If he must be involved, please put him in a back-line position and bring on a cohost with something significant to add. I just wanted to say that God has HIs hand on you Gentlemen. Thank you for fighting the good fight, and upholding the truth. This is what Real News is all about. Not like all that other propaganda. The veil is being lifted and itâs about time! Thanks for all your hard work. Excellent Podcast with Knowledgable Guests. I really enjoy most of the podcasts you guys put out because the majority of your guests are top-notch and Iâve yet to hear one guest that doesnât give credit to God. I especially LOVE Pastor David Langford and Stan Deyo! Could you guys get Russ Dizdar on again, as spiritual warfare is so important these days and the church doesnât want to talk about it.Doug: Control your excitement and aim to make your points clear. Really like the podcast now that the music isnât playing between breaks!! Great show! I'm subscribed and the last 2 weeks there's been problems with only your show trying to get recent shows. Sounds like censorship to me. Keep it up guys, patriots appreciated you. These guys are DEAD ON. To be honest I tune out a bit when they talk about the Christian perspective, but it doesn't dominate the show and otherwise these guys are DEAD ON. I love you guys. You are increidible and what you are giving to us daily is incredible.5 stars! BUT, you shoot yourself in the foot CONSTANTLY! You have some of the most incredibly intelligent people on your show, they trust you! These are men guided and given knowledge by the most high. When you pitch product in the way you do(it is fake, and you are trying too hard) let it flow, and ask unprepared questions, you water down the greatness of the information at hand. Take notes from tru news, they are clean and precise! Peoples lives are on the line! No fumbling and saying wow over and over. You say wow at nothing(something insignificant) , then someone gives you divine understanding and you say wow again! Do you realize what that does! It puts trash and gold in the same bin. Speak with precision, accuracy and dont make this out to be some "Hagman" thing. These people are not taken seriously if you keep getting sloppy! Your program deseves rededication to a more precise manner. You guys deserve all the applause, its time to cut the fat that has been growing. Here's an honest review from long time listener. I enjoy listening to Joe. Doug, not so much. Doug, getting out a thought is like pulling teeth. You go round and round like you are setting up the thought first. Irritating. Also guys, you rarely have females on the show. And when you do have Sheila on, Doug keeps interrupting her. Irritating. I think Joe is the best for the show. I've kinda moved on from this podcast. ..the fallen angels TOOK the daughters of Adam.. There was NO wedding or throwing rice, TOOK as in kidnapped, stole and RAPED whoever they wanted..! These guys are on the front line of current events and interject their insightful commentary and weave things together in a way that is productive and useful, contrasted with the conspiracy theorist, fear-mongers. Thanks so much for keeping us informed of the relevant. Great show. The information from the many guest is so very important.I don't always agree with some of the interpretation of scripture by some of the guest, but it is still definitely worth listening to. Fantastic information given on every show. Your broadcast is excellent.Thank you for the guests and care you take interpreting the Bible at such a broad in depth level. These men tell the truth and bring a real perspective back to us during these crazy times. Many thanks. I Love How You Havenât Compromised The Truth, I Highly Respect That! I Find Many Times We Are Informed About Things Happening Through Your Show Before Anyone Else. No Compromise And Your Not Intimidated To Research And Share About Things The Church Wont Touch. Subjects That Are Vitally Important That We Grasp And Be Prepared To Deal With! Thank You So Very Much! One of the best shows all around. So happy to have a show like this to listen to..thank you guys so much. Glad i found your podcast! Just finish full doc marquis interview now starting steve quayle and tom horn :) awesome! God bless your show! Just started listening this past year. 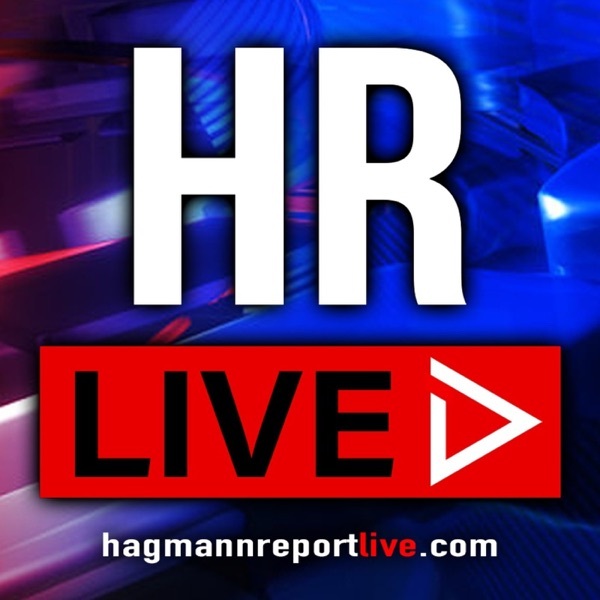 Now The Hagmann and Hagmann Report is an important part of my daily routine! They tell the truth and are often hacked and interfered with. Oct 28 2013....all broadcast wiped out from July to present on ITunes. Pray for these men. They have very interesting guest that are very insightful. And the Hagmans seem very informed as well, but always looking to learn more! Great podcast that takes an honest look at the world and tell it how it is no matter how much the truth may offend our thin skinned politically correct society all the while preaching the Good News of Jesus Christ and our salvation through him. Full of great topics and guests!! !